"There's so much inventory here, it's crazy." When Tesla finally met its Model 3 production run rate target, astute investors and analysts pointed out the use of the word "factory gated" in the company's press release: “Not only did we factory gate 5000 Model 3’s, but we also achieved the S & X production target for a combined 7000 vehicle week!” Musk wrote in an email to his staff that week. It was a term that Tesla hadn’t used before. Now, thanks to a couple of sleuths on Twitter, we may have just found out what the term means. Twitter Tesla sleuth @ISpyTSLA, with the help of others, has been trying to figure out exactly where all these vehicles are winding up. @ISpyTSLA found that it appears that "thousands" of vehicles are being stored "in a field" 500 E Louise Ave, Lathrop, CA 95330. According to public records, the property was also available for lease just 6 months ago, suggesting that Tesla leased it recently. Why? Perhaps as a place to temporarily dump cars that should be 'off the books' or as some said,' "There's so much inventory here, it's crazy." It’s like a sea of Model Ss, 3s & Xs. Cars are coming in but not coming out? The accompanying video appears to show "thousands" of Tesla vehicles just rusting in the open air under the scorching California sun. 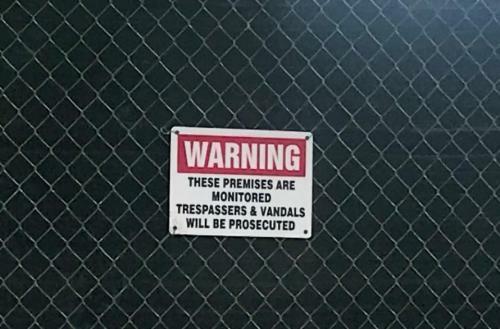 Additional video shows the Twitter users initial approach to the property, which appears to have a gate with a warning sign that the premises are being video monitored. The Twitter user notes that trucks seem to be bringing cars in, but not out. Follow up Tweets noted that "there's no real activity in the inventory lot" before noting that "some cars are coming out". Meanwhile, as another Twitter user noted, another just as vast pile of Model 3s can be found near the Burbank Hollywood Airport. The reaction from Twitter was underwhelming. A parking lot of $tsla garbage. But why stash the cars there? Is it to optimize net working capital and give investors - and auditors - the impression of more liquidity than is actually available? Surely this will, or should, be one of the "boring" questions asked on the company's conference, if PricewaterhouseCoopers doesn't ask first. Meanwhile, Tesla already had to fend off a downgrade from Needham this morning, who warned that Model 3 refunds were moving faster than deposits, something we documented here over a month ago. This morning Tesla refuted this, however, with the discovery of this new lot Tesla's PR spin job for today may only be getting started.